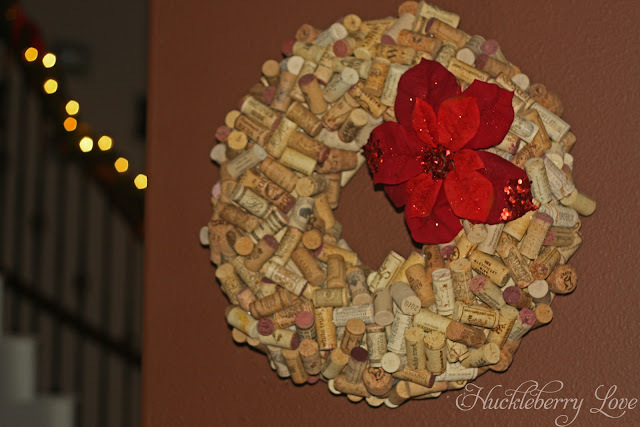 A friend of mine has an amazing cork wreath in her home, which I love and admire everytime I am there. Instead of constantly pining over hers, I decided it was about time I made my own. I love these wreaths because they can be hung in your home year round and will always match the season. Any small item applied to your wreath, can take it from Christmas, to Easter, to Halloween (and all the holidays in between). 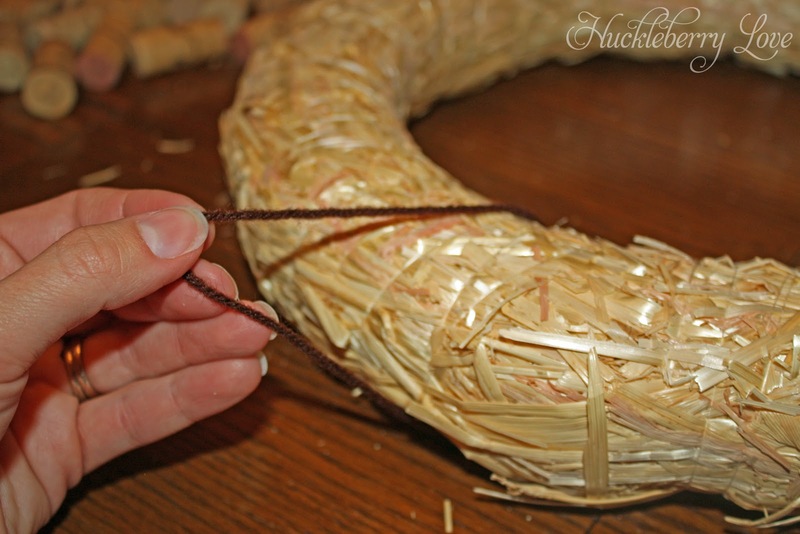 First, remove the plastic from the wreath, but DO NOT remove the string wrapped around it. Next, take your yarn and cut it about 12". Then tie it around your wreath loosely so that there is slack left over. 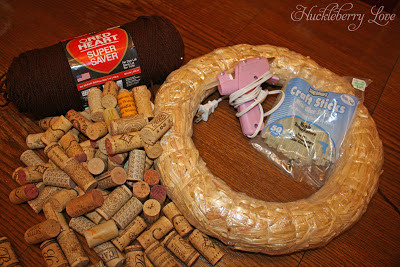 Now is the fun part when you get to start gluing on your corks! The best way to get your corks to stick is to put a strip of glue down the whole side of each cork. You want to place your corks in rows so as to maximize the wreath coverage. Your goal is for there to be very little straw showing. 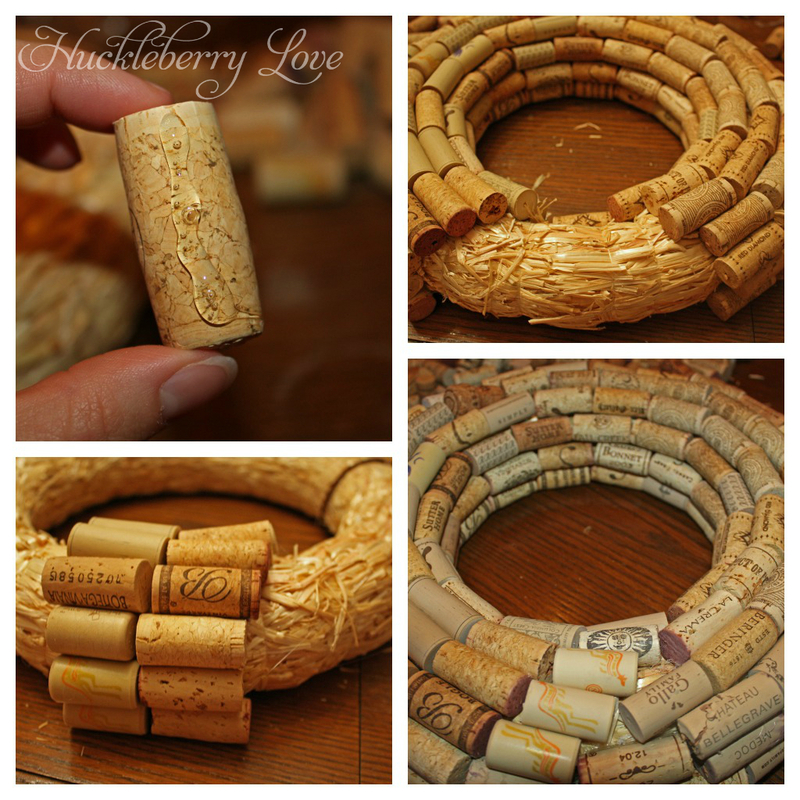 Jam those corks in as tightly as you can. This is the first layer so don't worry about it looking pretty. Now get gluing! Tip: When gluing on your corks, do not go all the way around the wreath. You want to make sure the back is free of corks so that it hangs flat against the wall. You will now move on to the second layer. 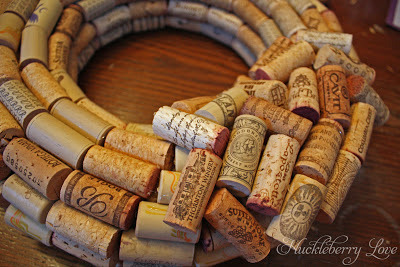 This is when you can get creative and place the corks randomly all over the first layer. You want to be careful to not start putting your corks in a pattern, as the more haphazard they are the 'cooler' the finished product will look. It is not necessary to put a full strip of glue down each cork now, as only sections of each cork will be touching another cork. 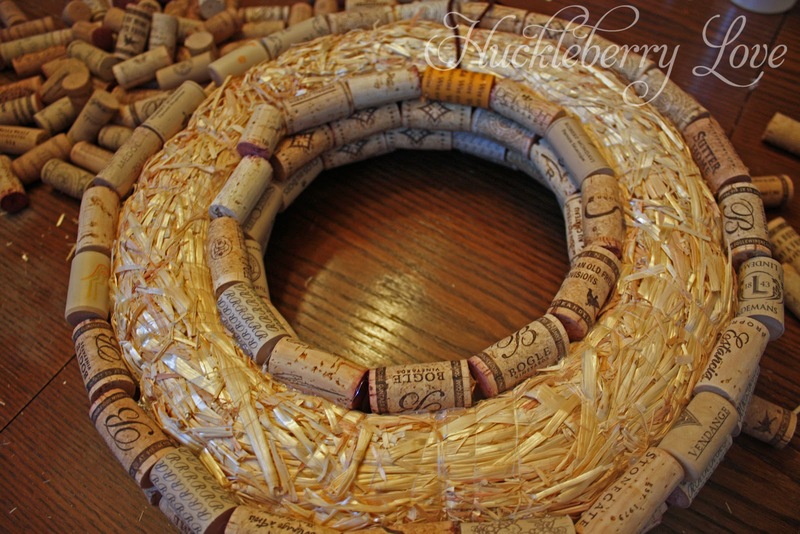 Tip: Before beginning your wreath it is a good idea to sort your corks. The ones you have a lot of can be used as the base and the more interesting ones should be used for your top layer. Finally, you are done!! It takes a while to finish, but the end result is so worth it! Now is the time to add your seasonal appliques or just anything that works with the colour scheme in your house. Ribbons are always nice. Because it is almost Christmas, I decided to add a sprig of Poinsetta to my wreath. This is the fun part. Be creative and happy decorating!!! What a great idea...love it! Thank you. Glad you like it so much! I came across you guys on designer blogs and was wondering if you would recommend them? I need mine to be as amazing as yours! How easy is the process? Thanks for checking us out. We are so glad you are enjoying our blog! We would definitely recommend Designer Blogs. They are very professional, fast and have a huge array of different blog templates to choose from. They also offer completely customized blog designs. The process is incredibly easy, all you have to do is let them know what you want/need for your blog design and they do all of the work. If you are new to blogging and not 100% sure what you want for your blog design, they are very helpful with working along with you, to make it work for you as well! 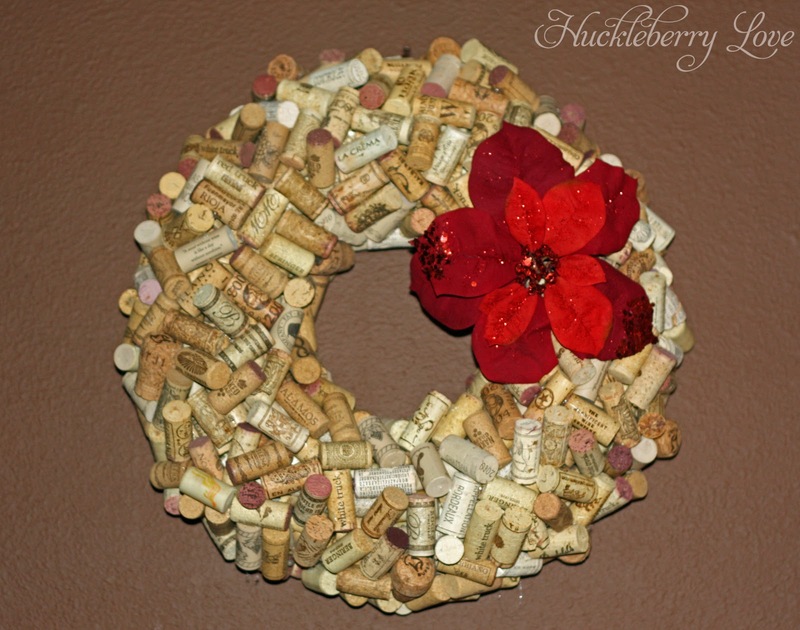 I love this take on the cork wreath! So pretty with all the haphazard angles. Love it! Thanks so much. It turned out great and was so easy to do! :) I'm glad you liked it!